A version of this column originally ran here on the blog three years ago. I’ve updated it, in the hopes that perhaps it will help some new winery get off to a better start. 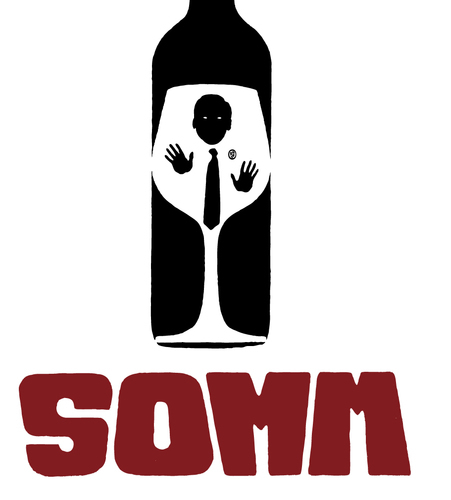 New wineries keep appearing, and sadly, many of them make the same old mistakes. There doesn’t seem to be a lot of learning from the past going on here, particularly among those who are setting up shop in a region that is off the beaten path (as far as global wine commerce is concerned), and who have not been working in the industry previously. Nothing about either of those conditions should prevent these entrepreneurs from doing their homework, but whether it’s ignorance, apathy, or plain hubris, a lot of them clearly do not. So here you go, young wineries, from my lips to your bottom line. PaulG’s Top 10 New Winery Mistakes. This past week saw the return of what was once a rather modest wine tasting event called Vintage after an absence of two years. Vintage had reached its apex some years before it vanished entirely, which was too bad, because I always thought it was the perfect event at the perfect time of the year. Re-invigorated this year as Celebrate Walla Walla Valley Wine, it was more ambitious, far-reaching, entertaining and flat out fun than ever before. Though down with a nasty head cold, I managed to attend my fair share of the major wine events, and moderated the headliner – a winemaker panel and tasting of three Napa Valley and three Walla Walla Valley Cabernets, all from the 2009 vintage. Prior to that there was a Vintage Wine Tasting, held at Corliss Winery, featuring a marvelous assortment of wines from bygone vintages. Among the many highlights: both the 1984 (first vintage) and 1987 Merlots from Waterbrook, the valley’s fourth winery; a 1997 Cabernet from Woodward Canyon; a 1999 Sagemoor Cabernet from Tamarack; both the 2000 and 2003 Seven Hills Cabernets from Seven Hills Winery; a 2003 Reininger Desiderata with all six! Bordeaux grapes; Dunham’s 2004 Lewis Vineyard Merlot; the 2004 Cabernet from Corliss, a strikingly good 2005 Merlot/Cabernet Franc from Buty; both the 2002 and 2003 Cabernets from Beresan; the 2006 Sayulita from Balboa, and the 2006 Tsutakawa Artist Series red from àMaurice. let’s all agree not to diss a gris! 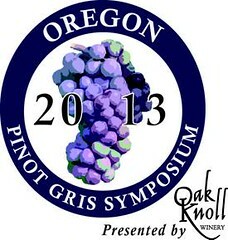 Last week I was a speaker at the third annual Oregon Pinot Gris Symposium. Hosted by Greg Lint and Jeff Herinckx at Oak Knoll winery, and organized by Jo and Jose Diaz, this brings together a group of winemakers united in their appreciation for Oregon Pinot Gris. As a group, they are committed to the goal of making the best Pinot Gris in America, and evangelizing the wines to consumers and the trade. My goal each year is to coach them on the do’s and don’ts that will enable them to best market these wines collectively and individually. Along with the prepared remarks, there are always lively discussions generated. This year it was David Adelsheim who poked a stick into the hornet’s nest with his assertion that no white wine category in the world other than Chardonnay could ever sell for more than $20 a bottle. Of course, there are some individual wines that do, but his point was well taken. And it went straight to the heart of the forum. When I followed up by asking the group of several dozen winemakers who was selling all the Pinot Gris they could produce, the majority of hands shot up. “So why are you here?” I said, only half joking. Actually, I knew quite well why they were there. 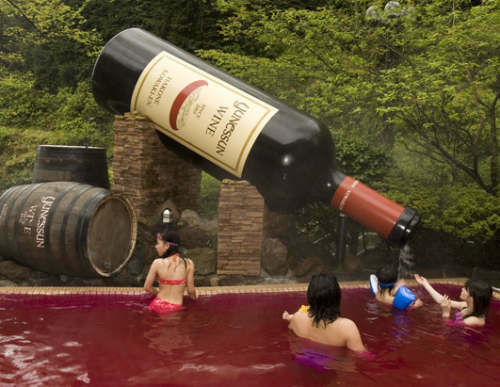 They wanted to get more for the wines. More attention, more acclaim, and more money. They wanted to turn a profit, not just squeak by. They wanted to break through what Adelsheim called “the glass ceiling” for white wine prices. His assertion? Other than premium Chardonnay, there is no white wine category in the world that regularly pops through that price ceiling. On September 21st, 1998, I was invited to have lunch with Robert and Margrit Mondavi during their brief visit to Seattle. The occasion was the publication of Robert Mondavi’s book – “Harvests of Joy” The subtitle: My Passion For Excellence – How the Good Life Became Great Business. There was an agenda of course, and as the two wines we had ordered turned up, it became quite clear. Joining them on the table was the 1996 Mondavi Reserve Pinot Noir. We spent a good part of the meal discussing, comparing and contrasting the three wines. The Burgundies were good, but I cannot recall their names or conjure up their flavors. The Mondavi I remember quite well, not only because it was sleek, subtle, sculpted and delicious, in an elegant, quasi-Euro style; but also because I immediately ordered half a case for my own cellar following lunch. 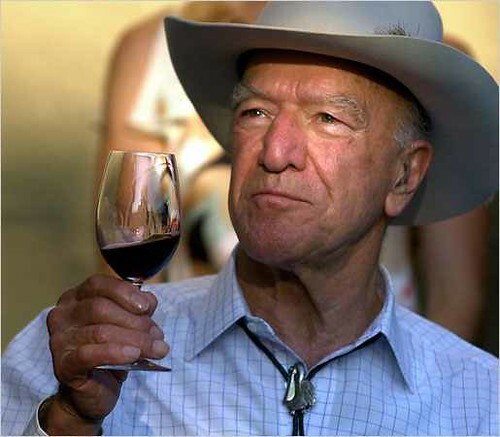 As the meal wore on, Mr. Mondavi became more and more animated, and with the energy of a much younger man (he would have been 85 at this time) he spoke about his history, his ups and downs in the wine business, and the wave of success he was riding at that moment. Sadly, that wave crested shortly after, and the empire that he and his family had so painstakingly built came crashing down. 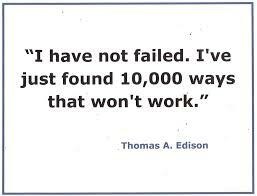 But I am certain that, had he the time, Mr. Mondavi would have shrugged it off, learned from his mistakes, and begun again. His passion – and it was a genuine passion, a wellspring of creative energy and dedicated talent – was crafting beautiful wines, and evangelizing the wine-centric lifestyle, a mash-up of good wine, good food, good conversation, good friends, fine art, hard work, and above all, an appreciation for all the pleasures that ensued. I generally devote my Friday blog to the sort of affordable, every day wines that are the standard newspaper wine column fodder. Although my Seattle Times wine column is no more, I still feel an obligation to serve those readers who stuck with me over the past decade and more, so these Friday essays are designed to fill that need. 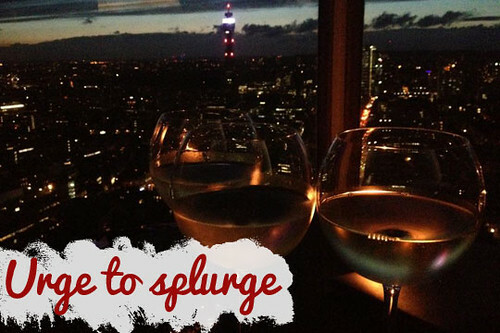 Once in awhile I’m gonna write about pricier wines, more exclusive wines, cultish wines – the sort of wines that would be certain to bring down the wrath of newspaper readers were I to mention them in print (remember print?). Not that I am always a fan of expensive wines. The pipeline is full of over-priced plonk, and all too often if an $80 or $150 sample turns up on my doorstep, it’s a clear indication that the winery can’t sell the stuff, so they give it away on the chance it will strike reviewer gold. Once every year or two, a feature film comes along with a wine-based theme. Rarely do they entertain because, fascinating as wine may be, it’s just not all that visual. How do you film smells, tastes, and textures? How many shots of vineyards, wineries, barrels and bottling lines can you watch before boredom sets in? A new documentary, written and directed by Jason Wise, tackles these and other challenges with visual verve, a clever plotline, and enough minutiae to satisfy most armchair wine geeks. Wise takes the viewer through the vineyard, harvest, crush, fermentation, barreling and bottling of wine in a zippy opening, and in about the time it takes to open and pour a glass of wine, viewers are launched into the story. The rest of the film tracks the progress of a small number of candidates preparing for the Master Sommelier exam, which is repeatedly described as the most difficult test in the world to pass. I am not sure where this puts the Master of Wine degree, which I surmise is equally difficult. But in any event, you get no argument from me that acquiring an MS is a sisyphean task, suitable only for those individuals (largely male) who are obsessive, driven, highly competitive, and consumed with a fascination for memorizing the most trivial details about wine. During all my years as a wine writer, I have met hundreds of wine salespeople. Many have become more than casual acquaintances, and a few have become long time friends. In this group are distributors, importers, and those who work the street, showing wines to retail accounts, both on and off-premise. And of course I’ve known hundreds and hundreds of winemakers, who accompany the salesfolk on their endless rounds, working the market. I’ve often wondered at the ability to do this day in and day out. 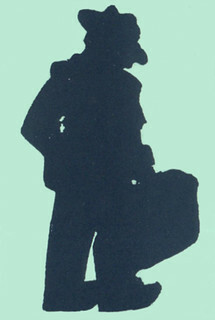 It has often struck me as a Willy Loman sort of enterprise, fraught with the frustrations and fantasies implied by the association with Arthur Miller’s famous protagonist. I never thought I’d be playing Willy in my own production. Well, enough ancient history. Brian went on to numerous consulting gigs and has worked more vintages in this state (33 and counting) than all but a handful of veteran winemakers. 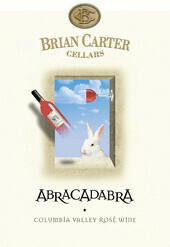 In 2006 he founded Brian Carter Cellars, and has carved out a comfortable spot for his winery and tasting room across from the Hollywood Hills in Woodinville. His production has steadily climbed, and he currently sources 20 different grape varieties from a dozen vineyards scattered across the Columbia Valley. As you might expect, his vineyard sources are first rate (Klipsun, Stonetree, Boushey, Olsen and Upland among them), and he knows them all quite well. But Carter himself believes his talent is best expressed via blending, and his portfolio includes a most demanding and exacting number of globally-inspired, regional wine styles. Here are some highlights from a recent tasting of current releases. 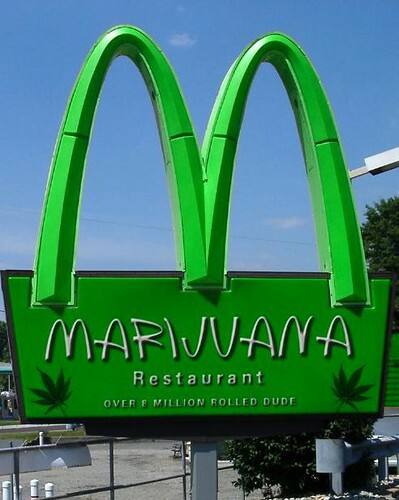 Over the weekend, Time magazine ran a story headlined “A Starbucks for Pot? National Chain of Marijuana Stores in the Works.” The star of this particular show turns out to be an ex-Microsoft manager named Jamen Shively (a name unfortunately close to Snidely, as in Whiplash)... but I digress. Shively’s plans for an Empire of Bud were previewed at a press conference, at which it seems more than a little smoke was blown. But this item caught my attention. Shively already has a name for this project, and it is Diego Pellicer. Huh?!? Apparently that is the name of his great grandfather, who grew hemp in the Phillipines.